Americares emergency response health workers in Puerto Rico. Photo by William Vazquez. 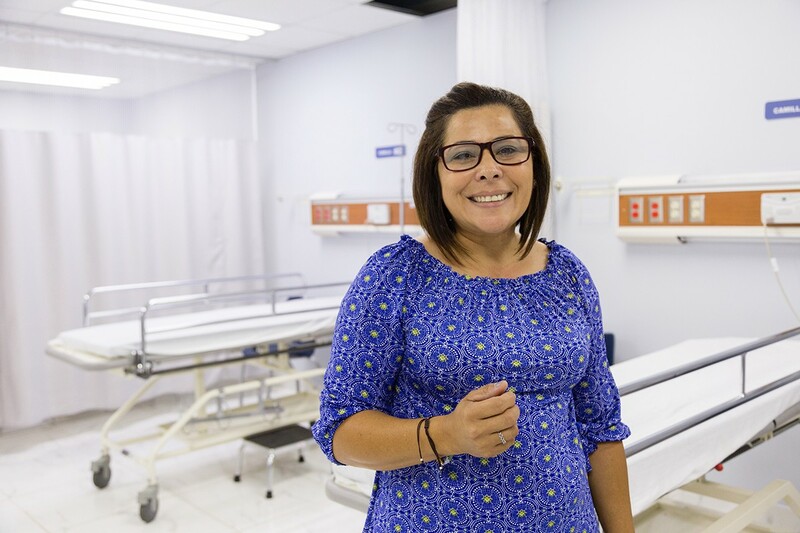 After Hurricane Maria lay ruin to the town of Jayuya, Puerto Rico, emergency room administrator Johanna Morales was among the small staff that worked for 11 days without relief at the local hospital. Until others could make their way to work, a tiny group did it all: cleaned floors, washed laundry and saw to the needs of patients even while their own families were living in damaged homes. As communities in Puerto Rico still struggle to recover, many without power or repair, health workers face a double burden: their own trauma and that of their patients. In the midst of this, caregivers need care. That’s the driving idea behind a new Americares effort President Bill Clinton highlighted this week at the Clinton Global Initiative Action Network on Post-Disaster Recovery meeting in Miami, where leaders in government, private business, academic and the humanitarian sector gathered to collaborate on hurricane recovery efforts in the Caribbean. 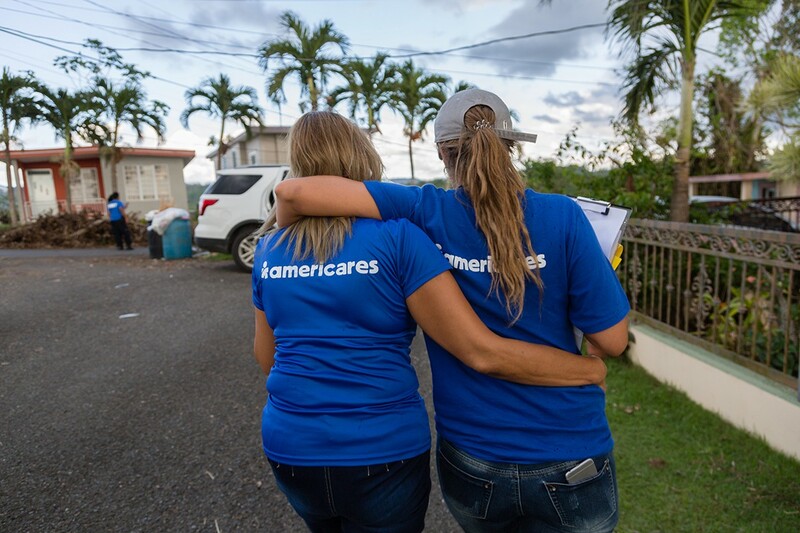 Americares program — called Resilience and Coping for the Healthcare Community — will support 5,000 health workers in Puerto Rico with the training and tools they need to address their own trauma and better serve patients who exhibit symptoms of stress, anxiety and depression as a result of Hurricane Maria and its aftermath. For many people, these health conditions are actually worsening as the months roll on and life has not returned to normal. Adding to their sense of uncertainty is the coming hurricane season, which begins in June. On September 20, 2017, Hurricane Maria made landfall as a Category 4 storm in Puerto Rico. Photo by William Vazquez. There is a growing recognition among humanitarian agencies that mental health needs are just as real in a post-disaster environment as physical needs. The experience of surviving a storm, earthquake, conflict or other emergency is often debilitating in and of itself. The loss of family, friends or neighbors, destruction of homes and institutions and absence of electrical power, water and other essentials can easily cause mental health and psychological issues that too often go unaddressed and untreated. I became aware of disaster survivors’ mental health burden 13 years ago following the Southeast Asia tsunami that killed an estimated 280,000 people in communities from Indonesia to India. While working as an emergency responder, I met with medical teams on the hard-hit eastern coast of Sri Lanka, including Sri Lankans who had experienced the disaster themselves and foreign medical workers who had come in response to the crisis. “Counselors. We need counselors.” I heard this refrain from health workers again and again as they faced lines of survivors seeking care. They were asking for psychological help for themselves as well as their patients. 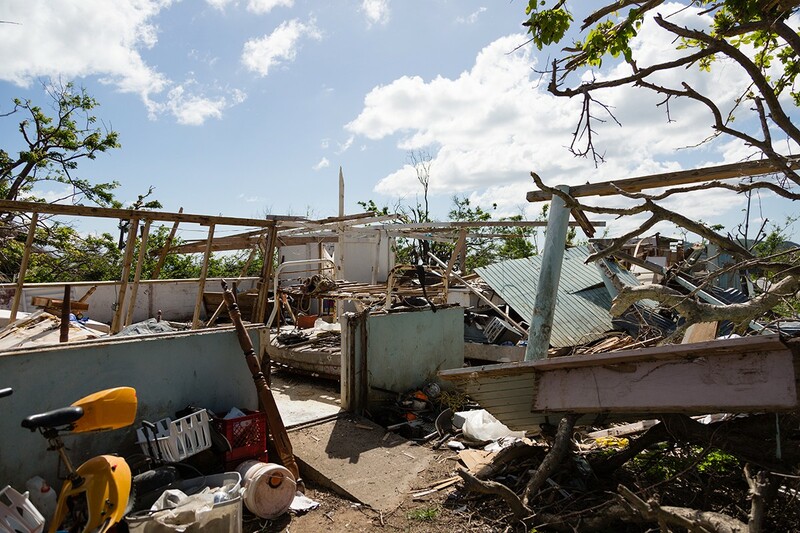 The goal of the resilience and coping program Americares announced this week is to give health workers the tools they need to address the mental health needs of Maria survivors — their own and their patients’. Medical teams I’ve encountered are hungry for this. In Texas, where Americares runs a similar program in the aftermath of Hurricane Harvey, I recently sat in on our team’s training for the staff of a nonprofit health center that serves a community hard-hit by Harvey. The clinicians, nurses and other staff were deeply engaged learning coping concepts, tools and techniques that would help them and their patients. Going forward, Americares is focusing on mental health and psychosocial support services and emergency preparedness for health care providers. Photo by William Vazquez. To expand capacity for mental health services in Nepal and Syria, Americares has worked with and alongside other humanitarian organizations that have also taken up this important work. We are grateful to be among them, to learn from one another and to help lead an effort to document evidence-based approaches that have a real impact.